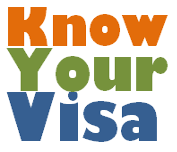 The E-visa is a non-immigrant visa that allows a citizen of a country with which the United States has a friendship / commercial / navigational / bilateral treaty, to enter the U.S. for an indefinite period, to engage in trade of a substantial nature. It is designed for use by investors, business owners, business managers, and employees who need to stay in the United States for extended periods of time to carry-out trade, develop and oversee the operations of a business, or work as a critical employee in an enterprise that is engaged in trade between the U.S. and the foreign country. As an employee from treaty country of either E-1 or E-2, including executives and supervisors or persons whose services are "essential to the efficient operation of the enterprise"
"Substantial" with reference to trade means a continuous flow of goods and services between the U.S. and the treaty nation of the alien applicant, involving numerous transactions that began prior to the filing of the E-1 application. With reference to investment, what is considered "substantial" is at the discretion of the Secretary of State. The Secretary of State conducts a "Relative/Proportionality Test" to determine whether the investment is substantial. The test considers: a) the amount of qualifying funds invested, weighed against the total cost of purchasing or creating the enterprise; b) the amount normally considered sufficient to ensure the investor's financial commitment to the successful operation of the enterprise; and c) a magnitude of investment to support the likelihood that the investor will successfully develop and direct the enterprise. "Trade" that is relevant to E-2 visas should be between the U.S. and the treaty nation and should at least be 50% of the total amount of trade conducted by the alien or his/her enterprise or employer. An alien in E-1 or E-2 status is given an initial period of stay that is no longer than 2 years. It is renewable for an indefinite period as long as the visa holder continues in the same capacity with the business, and the business is actively engaged in trade or services. The alien must also affirm that he/she will not remain in the U.S. after the period granted in E status ends. The alien must not have an intention to permanently remain in the U.S. and must depart after the investment or trade for which he/she has come to the U.S. has concluded. The spouse and children of the E visa holder may accompany the alien. The E visa holder's dependents may live and work in the U.S. without need for additional permits. The spouse of the visa holder may obtain authorization to work in the U.S. The applicant must be employed in a supervisory or executive capacity, or non-supervisory person with special qualifications essential to the efficient operation of the firm. Ordinary skilled or unskilled workers do not qualify for E-1 status. The investment must be a real operating enterprise. It should not be a passive investment, such as stocks, undeveloped land, or uncommitted funds in a bank account or similar security. The investor must be coming to the U.S. to develop and direct the enterprise. If the applicant is not the principal investor, he or she must be employed in a supervisory, executive, or highly specialized skill capacity.